A Call for Justice by Leroy F. Moore Jr.; Black writer, poet, hip-hop\music lover, community activist with a physical disability. I’m disabled and I’m black and have been profiled so much. For example a Black disabled friend of mine, Keith Jones and I were profiled in the same year. Here is the short vision of what happened to both of us. Keith Jones was profiled in Atlanta at a hotel in which he was staying at for a Krip–Hop event. He was using the computer in the hotel computer lab with his feet because he has very little use of his arms because of his disability and the hotel guard thought he was homeless and wanted him to leave. This interaction led to Keith proving that he was staying there for a disability event at Georgia State University . And for me I was profiled months earlier in the Bay Area and in NY where I was shopping for a greeting card but was approached by NYPD and store manager that said I was taking too long and was making them nervous. The police asked me what was under my jacket. Both NYPD and manager of the store stopped me because I’m Black and disabled but what was under my jacket was just my wallet. These are only two incidents but in the last two years I have been profiled more than ten times and many times cops were laughing at me because of my disability so this is profiling and bullying. A third example was the deadly shooting of an Oakland Black elder, well known painter with a disability and my friend, Casper Banjo, who on March 14th/2008 was walking to Eastmont Mall in East Oakland, CA to buy some supplies and was profiled by Oakland police that lead to shooting him because he was following their orders by raising his arms. The police report said that Banjo had a toy gun however friends and family have always said that was not true. We know that Casper, a Black disabled elder didn’t make it back home from his simple trip to the store. These are only a small reasons why I’m glad that this bill that includes disability will be law. An act to add Section 12525.5 to the Government Code, and to amend Sections 13012 and 13519.4 of the Penal Code, relating to racial profiling. AB 953, as amended, Weber. Law enforcement: racial profiling. Existing law creates the Commission on Peace Officer Standards and Training and requires it to develop and disseminate guidelines and training for all law enforcement officers, as described. Existing law prohibits a law enforcement peace officer from engaging in racial profiling and requires the training prescribe patterns, practices, and protocols that prevent racial profiling, as defined. Existing law requires the Legislative Analyst’s Office to conduct a study of the data that is voluntarily collected by jurisdictions that have instituted a program of data collection with regard to racial profiling. This bill, which would be known as would enact the Racial and Identity Profiling Act of 2015, which would, among other changes, revise the definition of racial profiling to instead refer to racial or identity profiling, would and make a conforming change to the prohibition against law enforcement peace officers engaging in that practice, and would make the prohibition specifically applicable to probation and parole officers. practice. The bill would also require a law enforcement peace officer who is the subject of a complaint of racial or identity profiling that is sustained to participate in training to correct racial and identity profiling at least every 6 months for 2 years, starting from the date a complaint is found to have been sustained. The bill would require, beginning July 1, 2016, the Attorney General to establish the Racial and Identity Profiling Advisory Board (RIPA) to eliminate racial and identity profiling and improve diversity and racial and identity sensitivity in law enforcement. The bill would specify the composition of the board. The bill would require the board, among other duties, to investigate and analyze state and local law enforcement agencies’ racial and identity profiling policies and practices, to annually make publicly available its findings and recommendations, to hold public meetings annually, as specified, and to issue the board’s first annual report no later than January 1, 2018. The bill would require each state and local agency that employs peace officers to annually report to the Attorney General on or before March 1, 2018, and each March 1 thereafter, data on all stops, as defined, conducted by the agency’s peace officers, and require that data to include specified information, including the time, date, and location of the stop, and the reason for the stop. The bill would require the agencies to retain that data for a minimum of 5 years. The bill would also require the Attorney General to analyze the data collected, report its findings from the first analysis by January 1, 2019, issue reports each January 1, thereafter, and make the reports available to the public by posting them on the Department of Justice’s Internet Web site. By imposing a higher level of service on local entities that employ peace officers, the bill would impose a state-mandated local program. (e) “Racial or identity profiling,” for purposes of this section, is the consideration of, or reliance on, to any degree, actual or perceived race, color, ethnicity, national origin, age, religion, gender identity or expression, sexual orientation, or mental or physical disability in deciding which persons to subject to a stop or in deciding upon the scope or substance of law enforcement activities following a stop. stop, except that an officer may consider or rely on characteristics listed in a specific suspect description. The activities include, but are not limited to, traffic or pedestrian stops, or actions during a stop, such as asking questions, frisks, consensual and nonconsensual searches of a person or any property, seizing any property, removing vehicle occupants during a traffic stop, issuing a citation, and making an arrest. On a more grassroots and cultural activism level, Krip-Hop Nation has for the last three years, produced an online film documentary on the issue of police brutality/profiling against people with disabilities. The film will be out in late October of 2015. Every day there is a new horror story that unfolds some place in this country involving a person with a disability. Little is being done to change the situation. Police abusing or the killing of a person with a disability or an unarmed person is on the rise. When will it end? We need our community to take action to end these tragedies. Our Community and our families are enduring devastating incidents of brutality. We intend to utilize this online film project and other actions to work towards making our community safer and the Police more responsive to our need. With your help we will be successful in creating the online film project entitled “Where is Hope; The Art of Murder. Our fight against Police Abuse and Brutality Against People With Disabilities. We hope to produce two Live screenings of the completed film in NY and San Francisco along with 2 public forums on the issues. 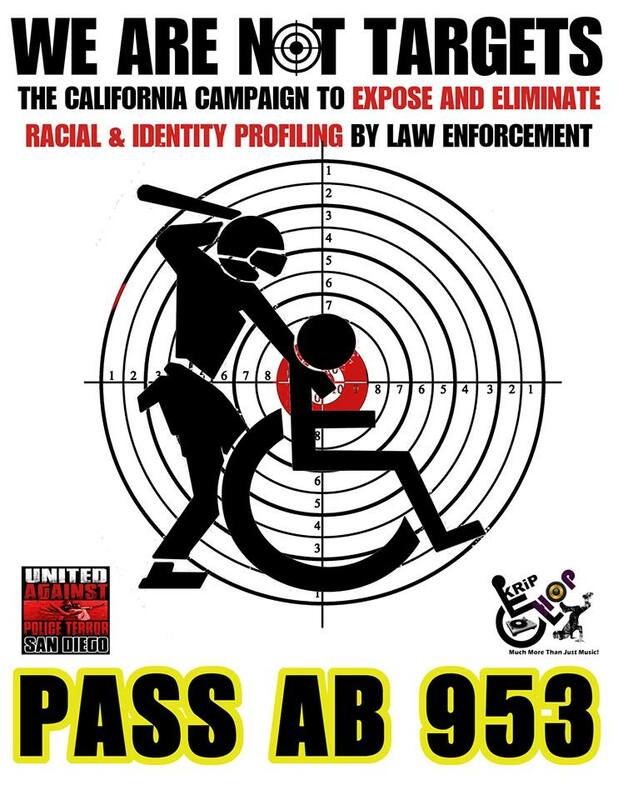 When cultural activism, activism in general and this new law that includes people with disabilities, I hope my communities will have legal standing in the courts to fight against profiling and abuse from police. Who is the Krip-Hop Nation? 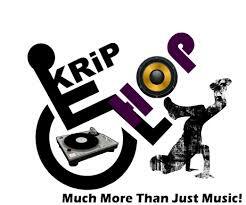 Krip-Hop Nation’s Mission is to educate the music, media industries and general public about the talents, history, rights and marketability of Hip-Hop artists and other musicians with disabilities. Krip-Hop Nation’s main objective is to get the musical talents of hip-hop artists with disabilities into the hands of media outlets, educators, and hip-hop, disabled and race scholars, youth, journalists and hip-hop conference coordinators. Leroy F. Moore Jr. is a Black writer, poet, hip-hop\music lover, community activist with a physical disability. He has been sharing his perspective on identity, race & disability for the last thirteen years or so. His work began in London, England where he discovered a Black Disabled Movement which help led to the creation of his lecture series; ‘On the Outskirts: Race & Disability. Leroy is Co-founder of the Sins Invalid performance project and its Community Relations Director. Leroy is also a contributing writer and performer for many Sins Invalid shows. He is also the creator of Krip-Hop Nation (Hip-Hop artists with disabilities and other disabled musicians from around the world) and produced Krip-Hop Mixtape Series. With Binki wio of Germany and Lady MJ of the UK started what is now known as M-cees With Disabilities, an international movement. Leroy formed one of the first organizations for people of color with disabilities in the San Francisco Bay area that lasted five years. He is founding member and current Chair of the Black Disability Studies Working Group with the National Black Disability Coalition. Leroy is one of the leading voices around police brutality and wrongful incarceration of people with disabilities and is a longtime columnist, one of the first columns on race & disability that started in the early 90’s at Poor Magazine in San Francisco http://www.poormagazine.org, Illin-N-Chillin. On Sept. 13, 2014, San Francisco Bayview Newspaper named him Champion of Disabled People in the Media on Black Media Appreciation Night.